GASLIGHT BAR & GRILLE is not for the late-nighters, staying open only until 10:00 PM Sunday thru Wednesday and until 11:00 PM Thursday thru Saturday, but it is a great place to begin your night, or to have a nightcap on those early nights. 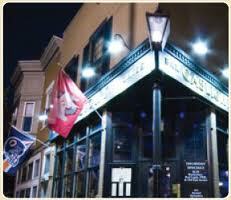 You may have known it previously as the Schoolyard Tavern, but it's only gotten better since it became the Gaslight. Truly an excellent neighborhood bar, but get there early because the secret is out, and it fills up early with happy customers! The food is so great here, you'd never know it was from a bar!